I’m going to be the first to admit that I’m not much for the great outdoors. In fact, I would probably consider myself more of a great indoors kind of girl. I grew up in Oklahoma where it can get pretty hot and humid in the summer months, and the last thing I ever wanted to do is be outside in the heat and with the bugs. Doing nature studies with your kids can be a great way to encourage hands-on learning, and allow them to take a break and get outside. For all the moms out there who are like me and hate the thought of even being near bugs, these five nature study ideas are how I, a less outdoorsy mom, made it through when we traveled full-time. 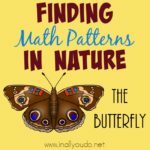 You don’t have to make an elaborate nature journal or collect bugs in a jar to have an excellent nature study with your kids. Keep it simple and easy! Personally, we collect cool rocks or leaves while out in nature and study them more closely when we get back home. It’s an easy approach and doesn’t require bringing a lot of wildlife into the house. Nature walks don’t need to be five-mile hikes. Take your kids for a walk in the woods or even around your neighborhood. Nature walks can be a great chance to experience nature in the real world. Birds building a nest or leaves falling from the trees, and even how weather affects the land can be a great way to teach your kids about nature without getting your hands in the dirt. I’m going to be honest, when I hear the word nature study I imagine the woods in the middle of nowhere. However, exploring your backyard can be a great way to do nature studies without driving to the middle of nowhere and get out in the woods. 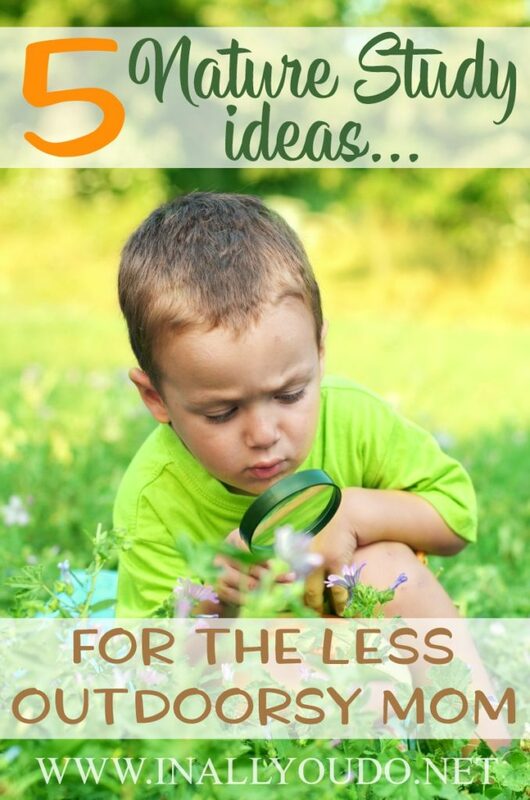 You probably have some great finds in your backyard for your little ones to explore. If you don’t have easy access to the woods, it might not be such a bad idea to bring some nature indoors. Find ways to bring nature inside your home whether it’s through a terrarium or indoor plants. This won’t have quite the same impact as being outside, but it can be a close second. 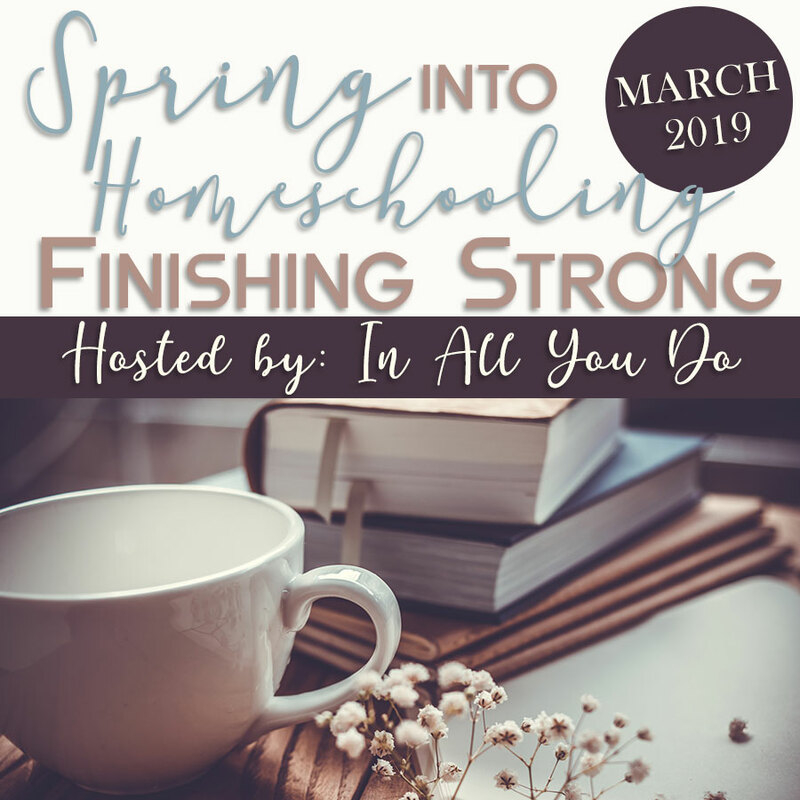 Look for unit studies to go with the things you can find to make them feel more impactful and less like you’re attempting to make your homeschool classroom into a nature classroom. Nature doesn’t always have to mean a long hike! Take a field trip to a botanical garden, arboretum, or even an aquarium. These are great places to find nature studies in action, and there are usually many volunteers who can help explain the wildlife or even give facts about the surrounding area. 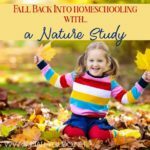 You don’t have to be an outdoorsy mom for your kids to do nature studies! 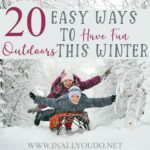 These five ideas can help you avoid the frustration and hassle of trying to be an outdoorsy mom when you’re just not. 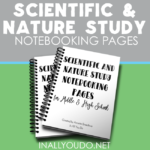 Be sure to grab our Scientific Notebooking pages to use while you’re out (or in) studying nature! 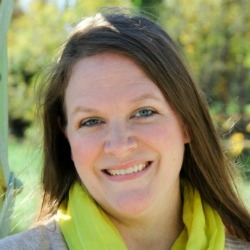 And be sure to check out these other ideas for all different types of nature studies over at Homeschool Giveaways! Don’t forget to visit this month’s sponsor and find out all about Skill Trek! 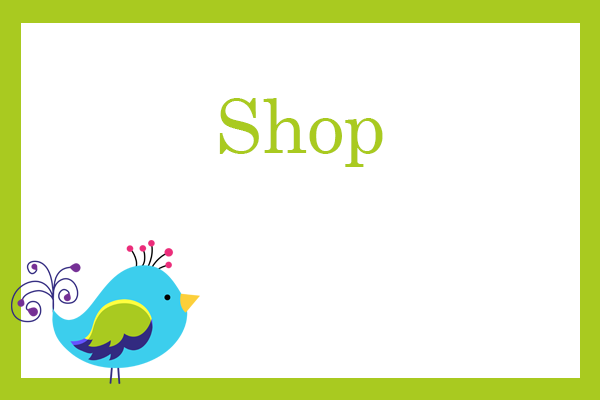 Take 15% off an annual membership when you use code: IAYD at checkout thru September 30, 2018!